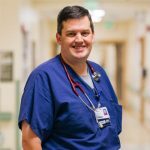 Michael Sumner, an emergency room nurse at Sentara RMH in Harrisonburg, earned an award for compassionate care in May. 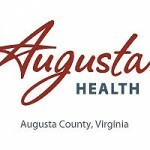 During the second quarter of 2014, 21 Augusta Health employees earned national certifications in their areas of expertise. Certifications require demonstration of extensive knowledge in a subject area, usually by examination. On March 19, National Certified Nurses Day, 33 Augusta Health nurses were recognized for their professionalism, leadership and commitment to excellent patient care for the national certifications they earned. Over the past several months, 38 Augusta Health employees earned national certifications in their areas of expertise. Certifications require demonstration of extensive knowledge in a subject area, usually by examination. 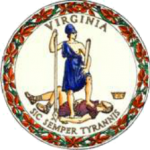 The Virginia General Assembly is currently deciding whether or not to provide comprehensive dental benefits to pregnant women enrolled in Medicaid and FAMIS MOMS. Over the past several months, 35 Augusta Health employees earned national certifications in their areas of expertise, and three earned Bachelors’ degrees. Certifications require demonstration of extensive knowledge in a subject area, usually by examination, and degrees require a commitment of years of study and commitment.